Memorial services for Vernon Kruize of Donnelly will be held Thursday, April 11, 2019 at 11:00 a.m. at St. John’s Lutheran Church in Donnelly. Visitation will be one hour prior to services at the church on Thursday. Burial will be in Vinger Cemetery, near Donnelly. Vernon Lyle Kruize, was born July 24, 1929 in Iowa. As a young child his family moved to Minnesota, where he grew up near Donnelly and attended country school. On March 14, 1947, he was united in marriage to Florence Onnen. The couple made their home in Donnelly, where Vernon helped to farm and for 40 years, ran a general repair shop. He really enjoyed talking and getting to know the people he helped. Vernon loved caring for his large garden and sharing his vegetables with many people. He also liked to do woodworking. He especially enjoyed spending time with his family and friends. Vernon died on Tuesday, April 2, 2019 at the St. Cloud Hospital in St. Cloud, MN. He was 89 years old. 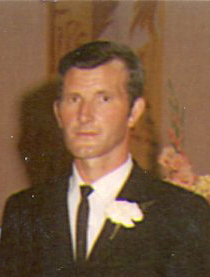 He is survived by his two sons: Lyle (Bev) Kruize of Hancock and David (Nancy) Kruize of Morris; son-in-law: Fred Reed of Cambridge; seven grandchildren: Dana (Jeff) Elwood, Heather (Cliff) Elwood, Tammy (Colin) Angrimson, Darren (Cindy) Kruize, Kari (Nathan) Standfuss, Michelle (Curt) Ulrich and Jason Reed; eight great-grandchildren: Lili Elwood, Austin Rosenbush, Annabelle Rosenbush, Raven Rosenbush, Tamika Rosenbush, Torrie Kruize, Theodore Standfuss, Nicole Ulrich and baby boy in June; several step-sisters and several nieces and nephews. He was preceded in death by his wife; his daughter: Janice Reed; grandson: Kurt Kruize and several brothers and sisters.